Located in arguably the cutest neighborhood in Stagecoach you’ll find this Red Hawk Village 3 bedroom home. Nuances of the property include an open floorplan design with granite tiled kitchen counters & center island, large pantry and vaulted ceilings. The living room is equipped with a radiant gas fireplace and a second-story deck with direct views of the Stagecoach Reservoir. This detached single-family home has a large back yard and lies adjacent to a greenbelt with an array of hiking trails and open space to roam. New carpet and exterior stain help this residence shine for the new owner. The main level of the home includes two additional bedrooms, complete laundry room with washer & dryer included and access to an attached 2-car garage. 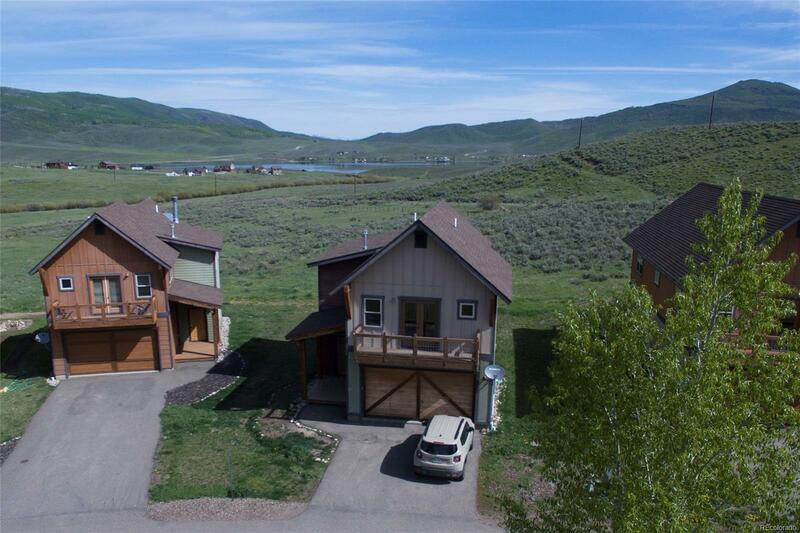 The nearby Stagecoach reservoir offers residents ample opportunity to enjoy fishing, boating, hiking and the pristine nature you’ll enjoy while living just a short drive to the world-class Steamboat ski resort.